Barograph is an app that uses the barometer in your iPhone 6 or iPhone 6 Plus to plot the atmospheric pressure in real time. 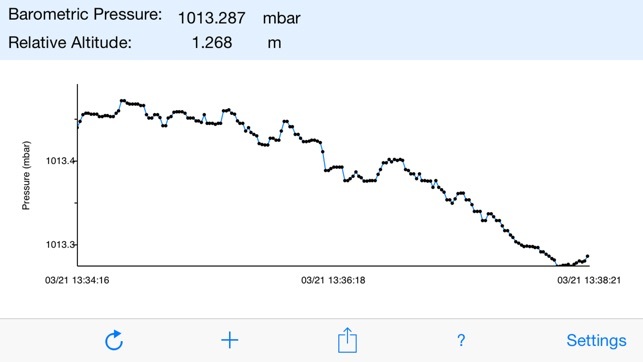 Barograph can also collect barometric pressure values in the background using Background App Refresh. You can use this app to watch weather systems (dropping pressure generally means rain is coming), or to see how the pressure changes as you move up and down in elevation. Barograph also displays your relative altitude using the barometer data. 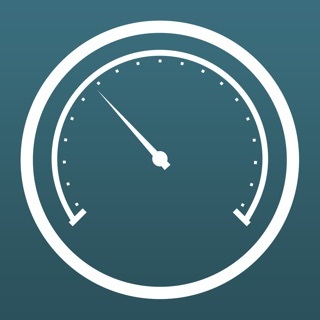 •Record barometer data in the background using "Background App Refresh". •Receive periodic push notifications with atmospheric pressure values and trends. 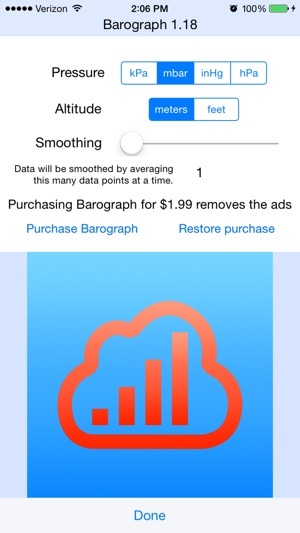 •Share barometer data over email, Facebook, Twitter, etc. 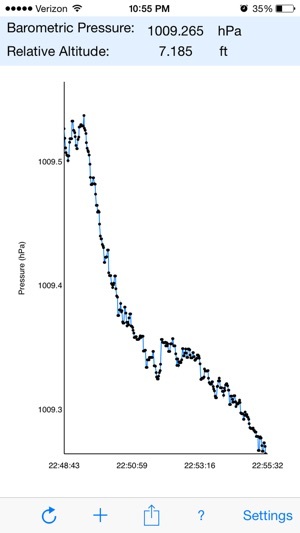 •Save and share images of your barograph plot. •View your relative altitude using the barometer in meters or feet. Barograph now contains a notification center "today view" widget which let's you quickly check the atmospheric pressure at any time by swiping down on your screen. •Fixed a bug with saving image to photo library. •Tweaked the ads to make them less annoying. While the app does collect data in the background, I’d like to the individual data points plotted on the graph when I reopen the app, rather than a single line from the last time the app was open to the current. Also, an Info section explaining the four different pressure unit options would be extremely helpful for those of us who are just learning. I love this app. It helps me plan my day. I bought the premium version. It runs in the background and gives me alerts. Couldn't ask for more.